Scuba diving equipment helps a person adapt to the underwater world and makes them part of it. They do the diving while their equipment makes it possible. Because of this, it is very important for them to learn the different equipment that makes their underwater adventure exciting and fun. 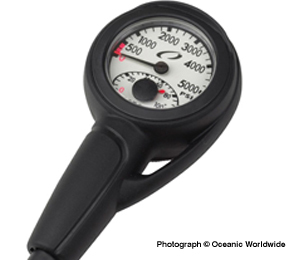 One of the most important pieces of scuba diving gear is the SPG pressure gauge. The SPG tells an individual how much air remains in their tank so that they can end their dive well before it gets too low. An SPG can be an independent gauge. It can also be combined into a console along with additional instruments such as a dive computer. An independent SPG is an analogue gauge while those that are integrated into computers are called digital SPGs. When choosing an SPG, there are a number of features that people should be on the lookout for. They should have a secure attachment. A person who lets their SPG dangle rather than securing it causes drag. It can also damage their gauge and the environment. An SPG also needs to be easy to read. 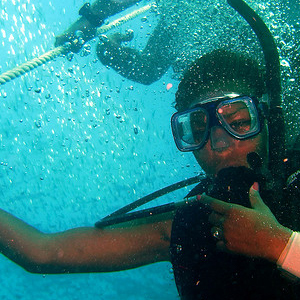 Whether it is an analogue gauge or integrated into a digital computer, a person should bear in mind that they are constantly using their SPG during a dive. Therefore, it should be easy to understand and read. Aside from that, there are some optional features that people should think about when they are using an SPG. One of the most common optional features found in an SPG is computer integration. With this, the SPG is part of a console that also includes a compass and a dive computer. This computer combines their air remaining information along with other important data that they need to know. Another optional feature of an SPG is that it can be a part of a console. This often includes their compass along with their dive computer. Some divers wear their computer on their wrist. They also have a simple depth gauge found in the console. 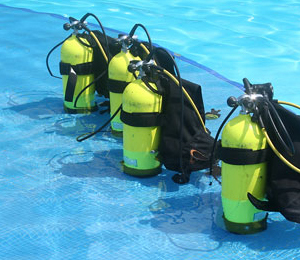 A number of dive computers also utilize hoseless SPG technology. A transmitter on the regulator first stage totally replaces the SPG hose. It sends pressure information wirelessly to the diver’s computer on their wrist. People will often choose their SPG when buying their regulator. 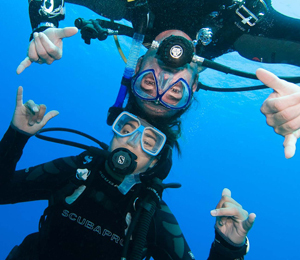 Because they have lots of options, it is important to obtain some guidance from a professional at a dive shop. One of the things that these people can help them with is interface preference. A number of divers choose separate gauges. This is because they find it much easier to obtain data from two separate displays. On the other hand, some divers like to have a common display. A number of the latest dive computers are also integrated with recent dive watches that may include a hoseless SPG. If an individual is in the market for a dive watch, they may get their computer, watch and SPG all at once. Aside from that, dive shops can help people determine if they need maximum streamlining. Some consoles are not as streamlined as a computer or basic SPG on a person’s arm or a hoseless SPG that has an arm-worn computer. Some divers do not want anything on their wrists and may find consoles adequately streamlined.